I have 10 eBooks of The Sham to give away to 10 lucky winners (in epub, mobi or pdf format). 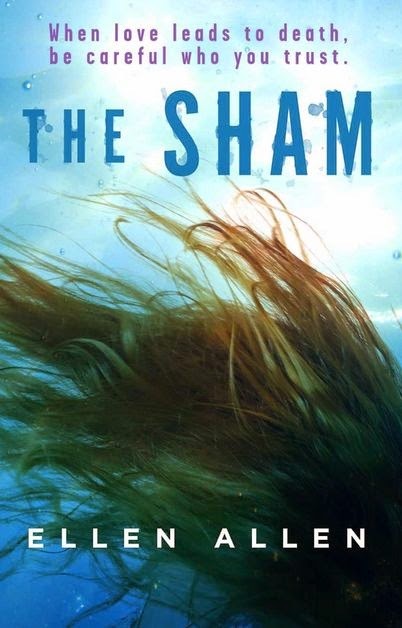 The Sham is a YA contemporary thriller with some scenes that are not suitable for younger readers. It’s been receiving great reviews on Goodreads. The idea for this book came to me in a nightmare. It was so vivid that I imagined I was 17 again, at school, in the same group of 4 friends that I used to hang around with. We were involved in a murder and cover-up. I started writing partly as a way to get it out of my head and then the characters turned into real people... and Emily and Jack were born. Emily is forced to watch as four of her classmates bully a small boy in the local playground. She meets Jack and, together, they are able to save him. Everyone is traumatized but Jack helps her to feel better: “I’m coming up, I’m too young to worry ‘bout burning out”. 2. Girls in Hawaii, Where do your tears come from? This is a very moody and atmospheric song for when Emily finds out that her classmate – one of the playground bullies – is dead. After tourists claim Jack is their long lost nephew, someone called Matthew, Jack disappears and Emily convinces herself that she really is “better off without you”. It has a great vibe and it’s very upbeat, even though it’s sad. This is the music playing for Emily and Jack’s first kiss; “Take me into your loving arms. Place your head on my beating heart.” Aaaah. Jack doesn’t give away his emotions easily and this song perfectly encapsulates what Emily thinks Jack is feeling – that he doesn’t want to commit – and how he should “dig a little deeper”. The police are trying to convince Emily that Jack is actually Matthew and that he’s a killer. She’s angry, hurt, upset and feels betrayed: “You killed the love that was once so strong. With no regret to what you did wrong”. This song is playing over the speakers of the supermarket café when Emily finally finds everything out – about who Jack really is and who killed the girls. It manages to perfectly encapsulate the complexity of Jack and Emily’s relationship and the situation she has to deal with at the end of the book; “we could be the greatest, we could be the worst of all”. This song conveys the end of the book brilliantly and leaves us on a really upbeat tone. It’s a tip top tune!